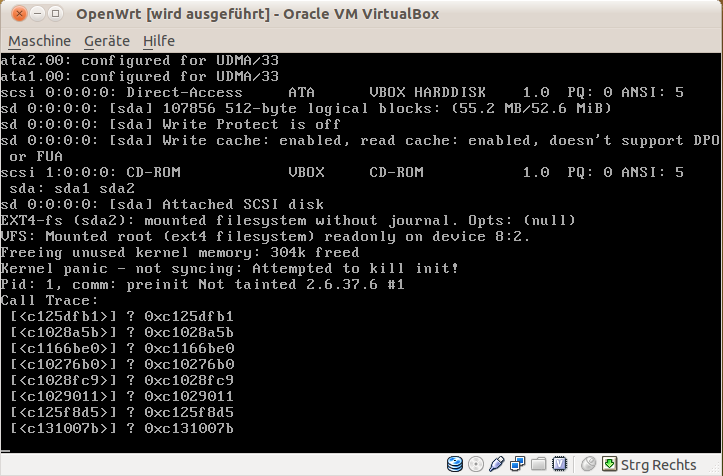 VFS: Mounted root (ext4 filesystem) readonly on device 8:2. Kernel panic - not syncing: Attempt to kill init! Bildschirmfoto.png​ (33.8 KB) - added by anonymous 7 years ago.